Hope is exactly what Just Say The Word offers! A quick read that is simple to follow and will have a multiplied impact on your marriage and family. Sam and Vicki Ingrassia are approaching four decades of marriage, have three adult daughters and live in Dallas Texas. 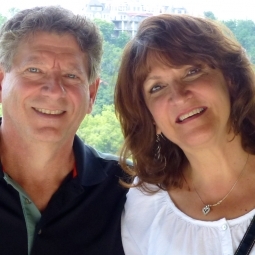 They have served for more than twenty years in full time missions ministry with e3 Partners Ministry. Together they have led teams around the world for the purpose of evangelism and church planting. Gifted and passionate as a Bible teacher, Sam has earned degrees in Biblical education and a Master’s in theology from Dallas Theological Seminary. He also has previous ministry experience as a Bible college professor and pastor. Stay up to date on all the lasted Just Say the Word Events and latest news. Fill out the form below to get our newsletter. © Copyright Just Say the Word. All Rights Reserved. Fill out the fields below to get ahold of us. We will get back to you as quickly as possible.